Cristiano Ronaldo put on a stunning display as Juventus triumphed over Atletico Madrid in their Champions League second leg clash at the Allianz Stadium, as the forward's hat-trick confirmed a 3-2 win on aggregate. 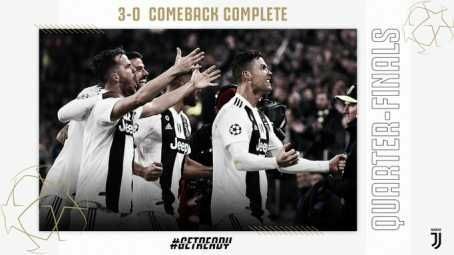 After a highly frantic start, the home side thought they had got off to the perfect start inside just four minutes, when Giorgio Chiellini pounced on a loose ball at the feet of Jan Oblak, but Ronaldo was adjudged to have fouled the keeper in the seconds before. 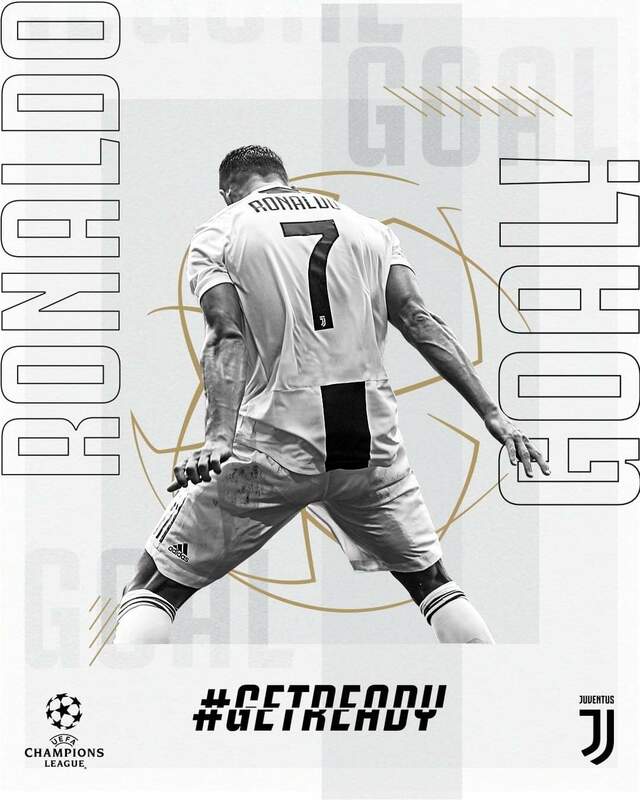 But, 22 minutes later, a period which flew by in a blur of intensity and fight, that man Ronaldo rose highest once again against Atletico to meet a wonderfully whipped in ball from Federico Bernardeschi and clatter his header past Oblak and into the net. 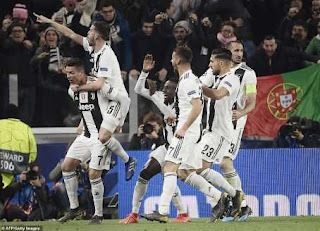 The blood (literally, in the case of Chiellini) and thunder of the first half continued into the second, as I Bianconeri continued to pour forward. 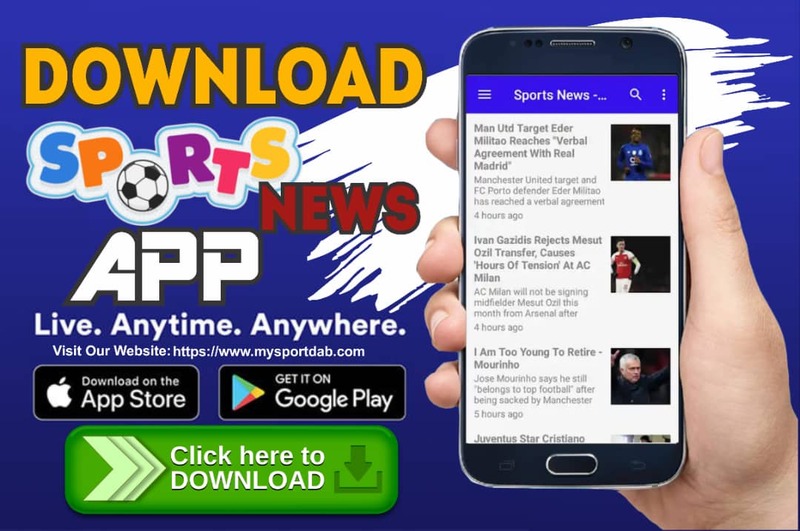 ​And, this time, they did have a goal awarded inside the first four minutes, as Ronaldo pushed another powerful header towards Oblak, who looked to have improbably clawed it away before goal-line technology intervened. 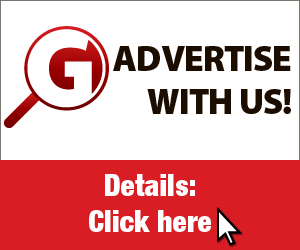 As the minutes ticked down towards 90 and extra time beckoned, substitute Moise Kean had a glorious chance to win it when he went one-on-one with the Slovenian, but couldn't direct the bouncing ball goalward as he skewed the shot wide. 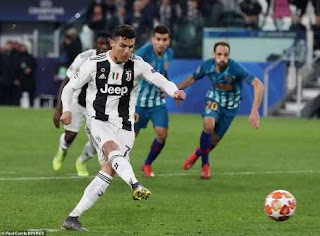 But that all faded into oblivion when Angel Correa pushed Bernardeschi in the penalty area, and CR7 made no mistake from the spot. For clarification, I wrote this before it went in, because there was simply no way he was missing it. Check out our full breakdown of the game below. ​Well, what a night for the Old Lady. And they sure did roll back the years. It was a titanic performance from Massimo Allegri's side. Yes, in one way it was all about Ronaldo (who we'll be coming to), but it was also about Chiellini, about Leonardo Bonucci, about Miralem Pjanic, about Federico Bernardeschi, about everyone. 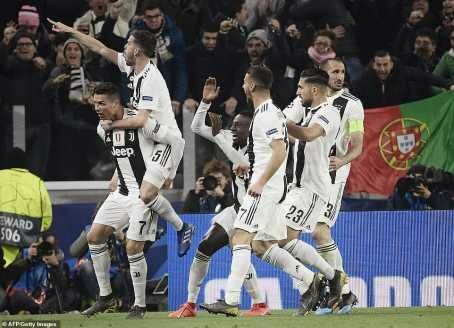 It was incessant pressure right from the off, and Juve were relentless in not taking their foot off the gas pedal. After so many years of performing the role as nearly-runs, with how-did-that-happen losses thanks to last-gasp penalties at the hands of - yes - Ronaldo, this could be the year they finally profit. An incredible showing against an incredible team in an incredible competition. 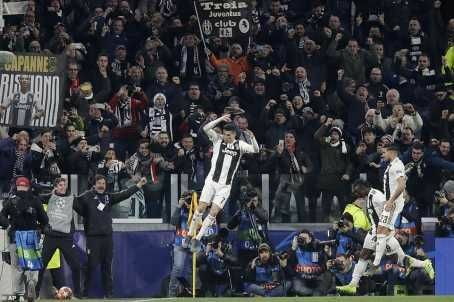 Starting XI: Szczesny (7); Cancelo (7), Bonucci (8), Chiellini (8), Spinazzola (7); Can (7), Pjanic (8), Matuidi (8); Bernardeschi (8), Mandzukic (7), Ronaldo (9*). 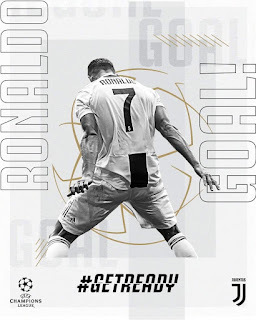 STAR MAN - As alluded to, there were a bucket-load of strong performances from those adorned in black and white colours, and a special mention should go to the effervescant Bernardeschi, who was everywhere, but it has to be ​CR7. Because the man for the big occasion proved it once again with an absolutely lethal showing. Three goals. Two towering headers. Two thunder-clapping, lightning-striking, blood-pumping thwacks of his forehead. And one cool as you like penalty. Questions were asked, many questions, after his mere two-goal output in Europe before this game. But he answered them all and then some on Tuesday night. Whether he's the GOAT is up for debate. Whether he's the greatest G34YOOAT (greatest 34-year-old of all-time) is now beyond question. Diego Simeone's side never got going. They were never able to curtail the pressure. Never able to stem the flow. Directly contrasting with Juve's night of wonder, it was as harrowing as it could get for Los Rojiblancos. They needed just one score to stop their rampant opponents in their tracks, but that's impossible when you have zero shots on target. Zero. And their usually siege-like rearguard weren't much better, ran ragged by Juve's franetic frontline. Starting XI:Oblak (7*); Arias (5), Godin (6), Gimenez (6), Juanfran (5); Saul (6), Rodri (6), Koke (6), Lemar (6); Griezmann (6), Morata (6). Substitutes: Correa (4), Vitolo (5). STAR MAN - It feels strange to look to the goalkeeper for this category in a 3-0 loss, but I can't think of a single mistake from the Slovenian. 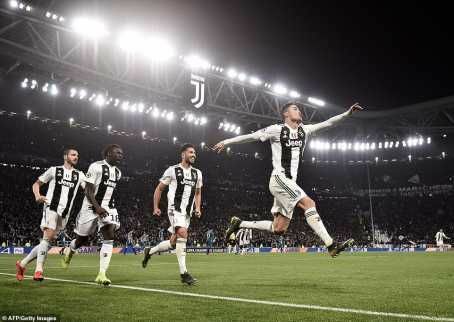 He was at fault for none of the three goals, and nearly pulled of one of the saves of the season in his attempts to deny Ronaldo his second. It will be scant consolation, mind, as his side's search for a European crown goes on. 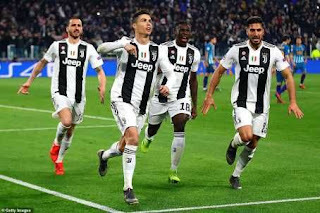 ​Juventus will travel to Genoa this weekend in Serie A, as they seek to maintain their 16-point lead at the top of the table, while ​Atletico will visit Athletic Bilbao in a crucial clash to keep the pressure on Barcelona in the Liga title race.